Prof. Tony Chan Carusone is a Professor in the Department of Electrical and Computer Engineering at the University of Toronto, Canada. 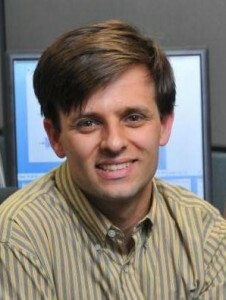 His research on analog integrated circuits has garnered several best paper awards at leading international conferences. For over 10 years, Prof. Chan Carusone has taught analog circuits both at the university and via short-courses to industry. He also serves as a consultant in the areas of analog and mixed-signal design. He has authored over 60 conference and journal papers and has served on the editorial boards of several leading research periodicals. Since 1988, Prof. Johns has been with the University of Toronto where his is currently a full professor. He has ongoing research programs in the areas of analog integrated circuits, high-speed data communications, and signal processing resulting in more than 40 publications. He is a past associate editor for IEEE Trans. on Circuits and Systems, both Parts I and II and became an IEEE Fellow in 2000. He has been involved in numerous industrial short courses and spent a 1 year research leave with Brooktree Corp. in San Diego, CA in the area of high-speed digital communications. He has also consulted for a variety of companies including IBM, Lucent, Brooktree, and others. He was a co-founder (with K. Martin) of Snowbush Inc., a Toronto-based company specializing in microchip design. Prof. Ken Martin has been a faculty member at the University of Toronto since 1992 when he accepted the endowed Stanley Ho Professorship in Microelectronics. From 1977 to 1978 he was a member of the Scientific Research Staff at Bell Northern Research, Ottawa, Canada, where he did some of the early research in integrated, switched-capacitor networks. Between 1980 and 1992, he was consecutively an Assistant, Associate, and Full Professor at the University of California at Los Angeles. He has also been a consultant to many high-technology companies in the areas of high-speed analog and digital integrated circuit design and a successful entrepreneur having co-founded (with D. A. Johns) Snowbush Inc., an analog/mixed-signal IP company. Prof. Martin is a celebrated author and researcher having co-authored 3 other books and over 100 research papers and received numerous awards. He is a Fellow of the IEEE. 4 Responses to "About The Authors"
In chapter 6 (Basic Op-Amp Design and Compensation) on Page no. 252, you say slew-rate(SR) can be increased by increasing Veff. But increasing Veff by some ratio, also decreases unity gain frequency(Wta) by same ratio, making SR independent of Veff. The key point is the assumption that the two-stage opamp is “properly compensated” as it says near the bottom of page 252. As you say, increasing Veff with constant bias current reduces the unity-gain frequency. Therefore, the compensation capacitor size can also be reduced while maintaining the same phase margin. This reduction in Cc provides an attendant improvement in slew rate. “This assumes rin<= or >>Rs, could you help me please. Assuming rin < < Rs means that Rs may be neglected in (4.162> and the time constant is approximately rinCgs. Then, a further assumption is made that rin is approximately 1/gm to arrive at the final expression in (4.162).